Aly Dosdall: NSD giveaway winners! I love this part of hosting giveaways! It's so fun to pick random winners, announce them, and get their excited emails in my inbox. It makes me smile to get an email after the prize arrives once in a while and hear that the winner is enjoying their goodies. So fun! 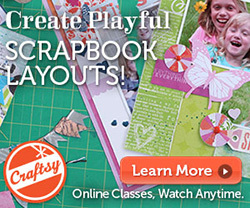 First I'll announce the winner from the Craftsy Paper Craft Instructor Blog Hop. This winner will receive a free spot in my Celebrating Everyday Moments class. Um, my fave tip and a brand new thing I have started in my own craft room is the "Use or Lose it" box for supplies I have had for ages!! Congratulations Melinda!! Please send me an email asap (link's at the top of the sidebar) and I'll get you registered. Have fun! Now, on to the We R Memory Keepers blog hop winner. This winner will receive a free 3x4 Card Punch. ADORE this layout! The denim strips are awesome! That punch would be an awesome addition to my craft tools! Congrats Reel Girl!! I know you're going to love this punch, and it will save you some crafting time. Please send me an email (link's in the sidebar) with your full name and shipping address and I'll pass on your info to We R. Enjoy! 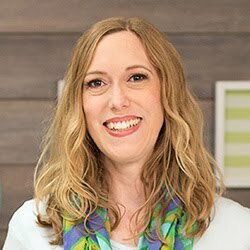 As part of the Craftsy blog hop I shared a tip with you, and then asked you to share your favorite tip with me in the comments. I loved reading your responses, and I thought it would be fun to share them with you (in case you didn't get to read through them). Thanks for sharing these awesome tips! Paper crafting tip? I think I would say when I learned how to line up my alphabet stickers on a ruler edge before applying them to my page. It helped everything line up so much better! Happy NSD! One of my favorite tips is to use old, uninspiring chipboard from your stash under items to elevate it on your layouts. Saves $$ on foam adhesive! You all are so generous! My best paper crafting tip is never throw away scraps! My best tip is to use leftover scraps to make cards with! Thanks for the hop,it's been fun. Happy NSD! My favorite tip ISO use sketches when I am stuck and yes I never throw my scraps away. I love to use my scraps to cut out different shapes circles, hearts, triangles etc and create designs on my cards and layouts. I listen to books on my IPOD anything with a mystery. Love to drink coffee and water. Love playing with our 5 rescue Westies. I always enjoy making cards and participating in card drives for a good cause and OWH. Fun page, lovely card! Papercrafting tip: do what feels right for you. Trends come and go and it's great to incorporate them if it's something you like or feels right. However, if the trend isn't you, don't chase it. One tip: I love 6 x 6 paper pads. I get lots of colors on a small scale. I love working with them. your card is so bright and happy! love it! Use an anti-static tool before embossing! love embossing! only put adhesive in the middle - then you can slide layers underneath. Before attending a crop, prepare and organizes your pages and/or assembled kits to maximize your time and productivity. This takes time but is worth the effort! I like to do a grid layout and often use scraps of pattern paper in place of some photos. The first tip I ever got for putting pattern papers together is to put them down and take a step or two back and see if they look good to you or not. My favourite tip is to scrap lift. I struggle with design of a page, so I skip that part and get yo my favourite part - picking out pretty papers! 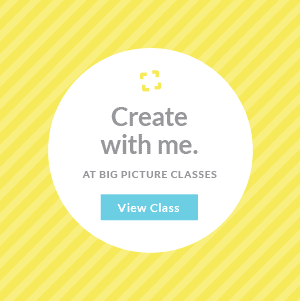 I'd love to take your class, Aly! Your stashbusting classes at BPC were some of my favorites. Thank you for the generous giveaway! My favorite scrapping tip is to use vellum! I use it to tone down really bold papers, to soften the look of a layout, to journal on... I love the stuff. Thanks for your inspiration and a chance to your class! My papercrafting tip: once you find a pp that will work, quit looking for something better. Just use it and get started. Beautiful projects! My best tip is to make up a kit from your stash! My tip: don't be afraid to mix patterns. I find so many people will use only one. Happy NSDay!! Your class sounds like it would be interesting. My craft tip is: never rush to finish a project. Take your time to enjoy the process. For me it’s more about making something I love and not a marathon of how many projects I have done so far. Thanks for sharing. Would love to win a spot in your class! I have learned that once I like a design or layout, use it again and again!